Every Web developer is concerned in developing their applications with the best methods under their circumstances. Wix is a platform for publishing Web sites very quickly. Now Web site owners can develop Wix Web site features faster using Wix code. You can also add logic to your site like client-side validation, which gives your users a more immediate response to their input. Wix Code gives you everything you need to get up and coding in your site, including both a built-in IDE and hassle-free backend, and an easy way to let your front-end and backend communicate. Wix Code includes a built-in online IDE that makes it easy to add code to your site with zero setup. This IDE works for your front-end files and lets you add page-specific code or code that you want to run on your entire site. You can also use the IDE to add code to backend files like data hooks, custom routers, web modules, and HTTP functions, or any other files you need. The IDE makes coding easy because all your code is automatically integrated with your site. The IDE also includes professional tools to make coding easier, like code completion for elements and their properties or methods (type Ctrl + space after our $ selector or after a selected element). Along the way, the IDE also provides JSLint feedback to help you code using best practices. To make debugging easier, any messages you log to your console in the front-end are displayed when you preview your site in the Developer Console in Wix’s Preview mode. Logs in backend code can be seen in your browser’s developer tools console as well. Wix Code gives you a built-in backend. That means that you don't have to worry about creating, managing, and monitoring a backend infrastructure. We take care of setting up and provisioning the servers and monitoring their performance. We also give you built-in database functionality that you can use with or without our wix-data API. Most importantly, we give you web modules: an easy way to let your front-end code call your backend code. To help with debugging, you can log messages to the console in web module code. These logs are displayed in the browser’s console. Web modules also have permissions settings, so you can be sure that no one can access or use your backend code in ways that you didn't intend, either through your site's functionality or using a browser's developer tools. In case you're curious, here's what's going on behind the scenes. When you import a web module on the client-side, you get a proxy function to the web module function. This proxy function uses an XMLHttpRequest to invoke the function in the backend. The runtime listens to those invocations and calls the appropriate function. The arguments and return value are serialized using JSON. Wix Code also supports source maps, so even though the browser runs transpiled ES5 code, you can debug your ES2015 source code in your browser's developer tools. Wix Code also takes care of efficiently delivering your code to the browser. Your code is minified and source files are combined (bundled) without you having to configure anything. Wix Code offers a number of APIs that let you control your site’s functionality, including APIs for our database and custom routers, and for exposing your site’s functionality as a service, among others. The $w API is used to work with the elements on your site’s pages. For example, here we create an onClick event handler for a button. The handler shows or hides an image based on the image's current state. It also changes the label of the button accordingly. The wix-fetch API is used for making HTTP requests to 3rd party services. For example, here we have a backend function that receives the name of a city. It sends a request to a weather API to get the weather in that city. When a response is received, the function returns the current temperature to the calling function. 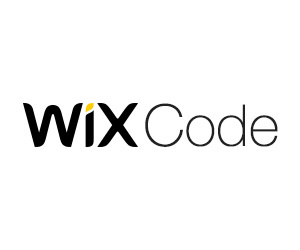 For more information about the advanced features Wix Code offers, see our Resource Center.